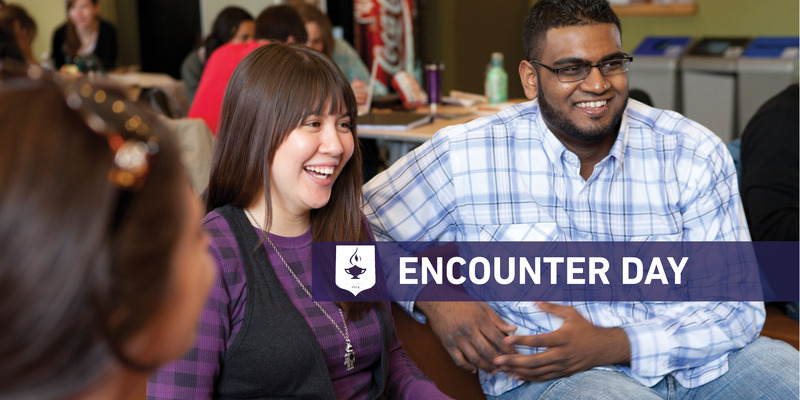 TyndaleU Encounter Day - StudyinCanada.com! Can't stay overnight? Come to Encounter Day and learn more about Tyndale! Connect with faculty over lunch, meet future and current students, and talk to admissions and financial aid about all of the options that are available at Tyndale. You'll also sit in on a faculty and current student panel, experience community chapel, and be shown around campus, all so you can discover for yourself why Tyndale is an amazing choice for your undergrad studies!